Learn about the differences between horses in the Red Dead Online and in Red Dead Redemption 2! Check out how to get horses, insuring your horses, tips & more! 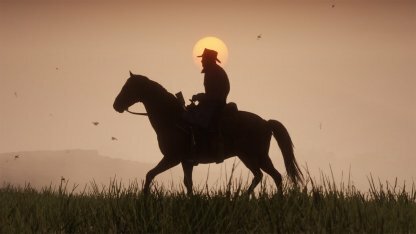 One of your main ways to get around in the game is by riding your horse. The main difference is that horses in online do not have permadeath, with a few minor changes. 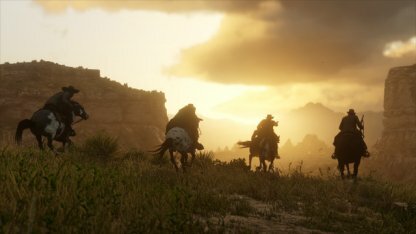 Instead you will be able to insure your horses in online mode. You will have the option to insure your horse after purchasing it at the stable. If you are looking to insure multiple horses, you will need to buy insurance for them individually. The cost of insuring your horse will be affected by the quality of it. If your horse has good stats, you will need to pony up more cash! When an insured horse takes a lot of damage in a short time, it will then enter into a critical state. However since the horse is insured, it will heal itself over time in Stable without need for additional cost. Horses that take too much damage during one time will "die" and will need to be revived at a stable. For uninsured horses, you will need to pay a certain amount. Insured horses are healed for free. 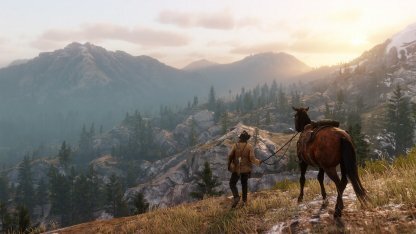 Generally, the method of getting horses in online mode will be the same as how to do it in the offline mode of the game. 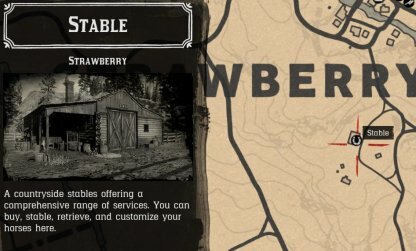 You can choose to buy horses from stables found around the map. 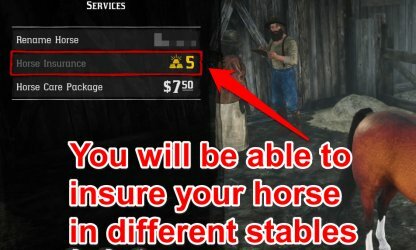 You can choose to buy horses using either dollars, or gold bars. Also keep in mind that some breeds require you to be at a certain level before you can buy them. 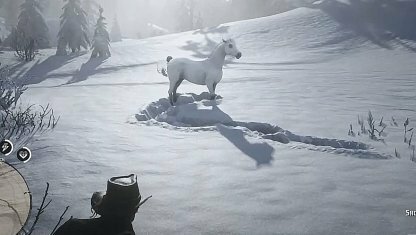 You can also choose to capture horses in the wild. Approach them slowly while constantly calming them. When you get close enough and mount, it will try to buck you off. Be sure you have enough stamina to keep on its back! 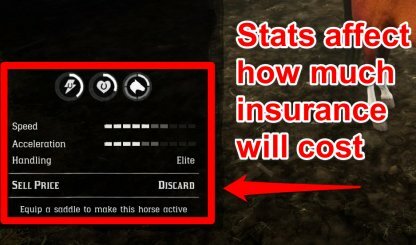 Insuring your horse in online will benefit you in the long run when playing the game. It will keep your horse healthy when it reaches a critical state, and will revive your horse for free at stables! 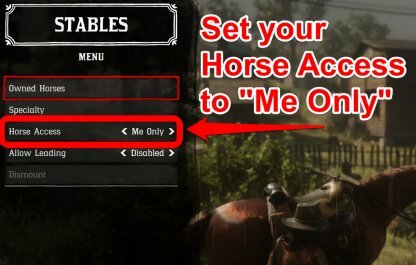 Setting your horse to "Me Only" will make your horse buck off players trying to steal it! This will come in handy if you don't want to lose your precious horse! You will need to get into the online menu via Left on the DPAD. From there, choose "Stables", and you will be able to set Horse Access!